A small state in the North Eastern part of India, Meghalaya has its capital in a picturesque and romantic looking town – Shillong. 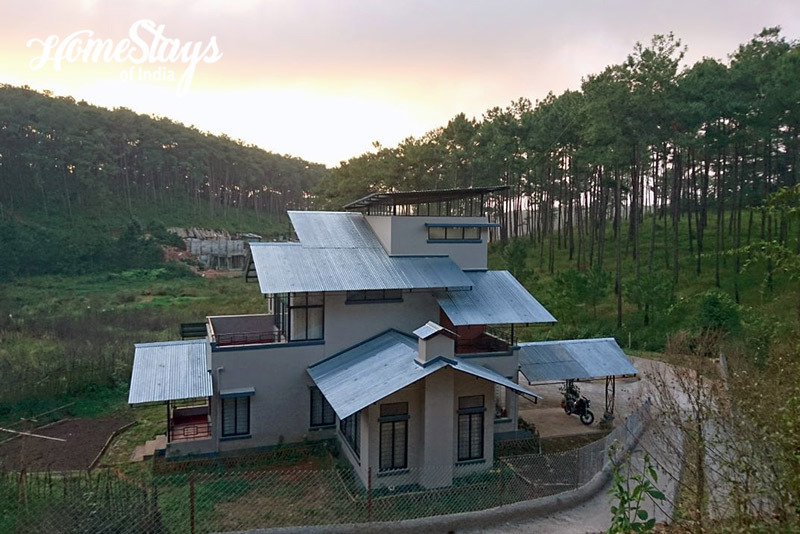 Perched at 1450 meters above sea level, this lovely hill station is surrounded by beauty on all sides – Pine covered hills, flowing streams and water falls which give it a milder climate than tropical India. Shillong derives its name from the legendary “Lei Shyllong” – the God who believed to be residing on the Shillong peak. Shillong is also known as “The Scotland of the East” due to its striking similarity to the Scottish highlands. 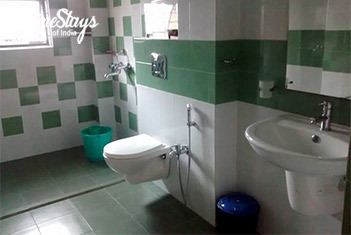 Conveniently located in a quiet and peaceful residential area of Shillong, it is away from the city noise and hustle, yet within 7 minute walking distance from the local market, convenience stores, cafes and restaurants. 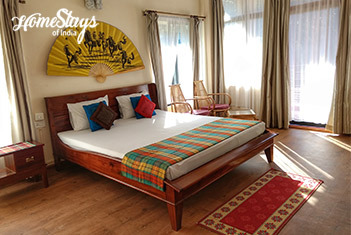 We have four well designed; tastefully decorated and spacious bedrooms with king size beds and attached bathrooms having all modern fittings. 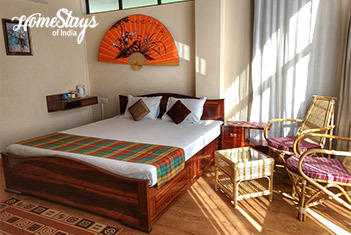 All bedrooms open to a balcony with a view of the surrounding greenery. 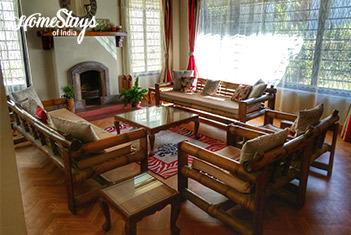 Guests have access to a cozy living room with a fireplace that’s ideal for chilling out. Meals are served in the capacious dining room that has a view of the garden. Your hostess, Farida comes from a mixed background of Khasi, Punjabi and Naga. 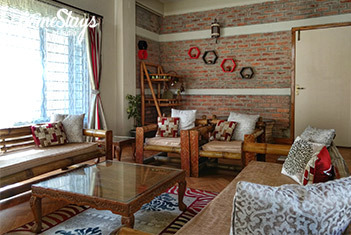 Born and brought up in Shillong, she takes pride in her roots and happy to give you an introduction to the local culture, language and especially the local food. There is an in-house cook who can cook both Veg and Non-Veg food very well. Simple and clean home food is prepared with fresh local meat and vegetables in a very clean and hygienic kitchen. Main course is Indian, Chinese and Khasi cuisine. Breakfast can be Bread Toast with eggs (Omelets/Poach/boiled or scrambled eggs), Butter and jam, Pancakes, Poha, Puri with aloo sabji or Chana, Parathas with curd and pickle. Cabs can be arranged for pick-up and dropping to the airport or railway station at normal fare. We also arrange for your tours and sightseeing to the best locations, getting you acquainted with the local people and their culture so that you experience the true essence of Meghalaya. These are just a few of places that people usually visit but there is lot more Farida can tell you if you are adventurous enough.